In honor of the park’s 50th anniversary, Fraispertuis City today announced their new for 2017 attraction; Golden Driller. 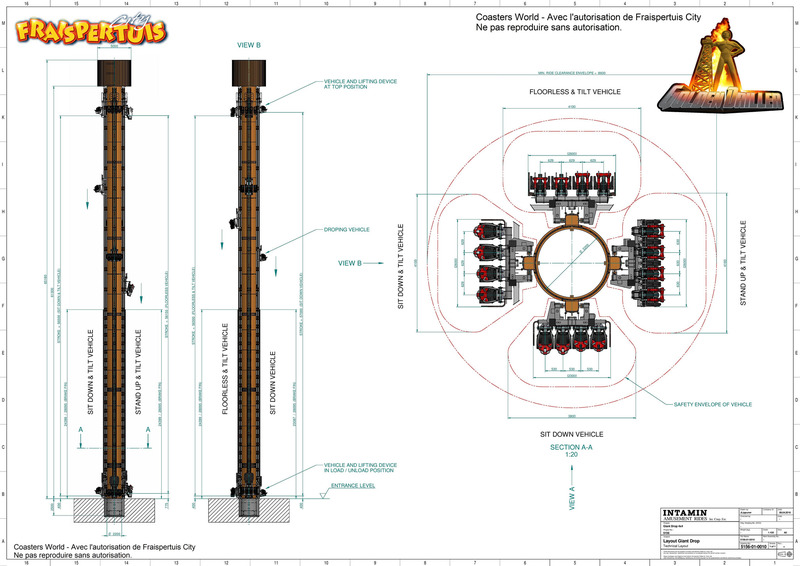 The tower will be 66 meters tall (216 feet) and will feature 4 different ride experiences. The experiences include sitting, sitting and tilting, floorless and tilting, and standing and tilting. Golden Driller will also feature a soundtrack from IMAscore, which have also produced soundtracks for Helix, Taron, etc. The overall theme will be based around the “golden era”, and will have a very immersive experience. The view of all the different experiences. From left to right: Sit Down, Sit Down & Tilt, Floorless & Tilt, and Stand-up & Tilt. As seen by the photo above, the ride will be very heavily themed. This photo gives a view of the seating arrangements around the tower. Below are closer views of all four trains. 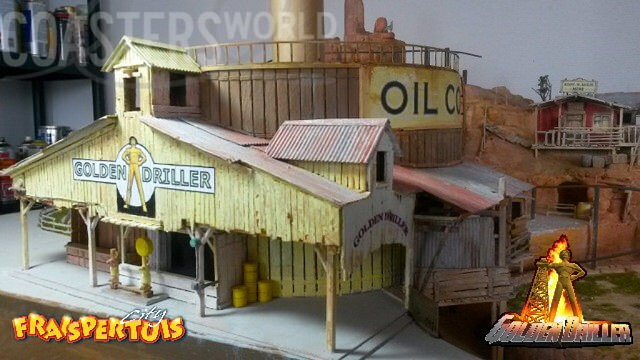 All photo credits go to Coasters World Forums. What do you think of this new addition? Let us know in the comments below!